St. Albans believes that technology is an important part of student learning and because of this strong belief, technology is infused and integrated into all parts of our curriculum. Students not only learn basic skills such as word processing and coding, but they are taught how to critically think and problem solve. They develop their creativity through individual and group work, collaborative projects, and presentations. 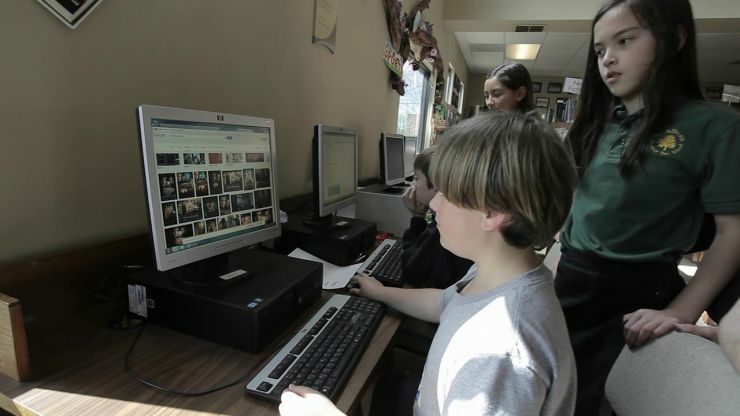 Students learn how to use technology in a variety of ways to support their lifelong love of learning. Promethean Boards with individual response devices in every classroom.